Home » Banks » November Rate Cuts – RBI on a Slashing Spree ! 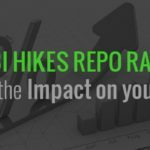 November Rate Cuts – RBI on a Slashing Spree ! The Prime Minister Narendra Modi brought the entire country to a standstill by demonetizing the higher denomination Rs. 500 and Rs. 1,000 notes on Nov 8, 2016. 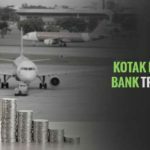 Well, the move is lauded by experts around the world as it is viewed as a crackdown on the black money, which has been paralyzing the economy for long. The news of demonetization can be a huge gain for a large chunk of people. However, there can be few losers resulting from the move. Experts foresee a cut in lending rates by the banks as expectations of RBI slashing repo rate by 50-75 basis points in the next 6-9 months have become ever so imminent in the face of such deposit piles in the banks, surpassing the level of Rs. 5 lakh crore mark. So, the loan customers are set to enjoy their journey. On the flip side, the fixed deposit rates have been reduced by few banks, lessening the income of individuals parking their funds in the said instrument type. Want to know why FD rates are falling and what will happen to your loan, stay glued to the article till the end. Why Fixed Deposit Rates are Falling? State Bank of India (SBI), leading the race with highest inflow in CASA, registered a deposit of approximately Rs. 1.34 lakh crore on Nov 18, rising from 1.04 lakh crore on Nov 14. In view of the spiral in CASA deposits, SBI has announced a 15 basis point (100 basis points=1%) cut on deposits from 1 year to 455 days, to 6.90% per annum on November 17. People Also Look For What Demonetization Means for the Salaried? Meanwhile, the private counterparts ICICI Bank and HDFC Bank are also not left behind in the deposit rate cut race as both have slashed their rates. While ICICI Bank has cut the interest rate on fixed deposits for a tenure of 390 days-2 years by 0.15% to 7.10% as opposed to 7.25% earlier, HDFC Bank slashed the interest rate on all tenures for bulk deposits of Rs 1-5 Cr by 0.25%. Other banks like Canara Bank and United Bank of India also followed the suit by reducing the deposit rates. Canara Bank reduced interest rates on both retail and bulk deposits by 0.05%-0.25%, while United Bank of India cut rates by 0.25%-1% on deposits of upto Rs. 1 crore for a maturity of 46 days to a year. These rate cuts are effective from different dates in November. You can also refer the table below to check the deposit rate cuts of select banks in India. SBI 1 Year-455 Days On all retail & bulk deposits 7.05% p.a. 6.90% p.a. ICICI Bank 390 Days-2 Years On all retail & bulk deposits 7.25% p.a. 7.10% p.a. HDFC Bank On All Maturities Rs 1 Cr-5 Cr 6.75%-7% p.a. for deposits between 1-5 years 6.50-6.75% p.a. Canara Bank 270 Days to Upto 5 Years On all retail & bulk deposits 7.25%-8.94% p.a. 7.15%-8.82% p.a. United Bank of India 46 Days-1 Year Upto Rs. 1 Cr 5.00%-7.00% p.a. 4.00%-6.75% p.a. People Also Look For How to Open Your Bank Account Online? Axis Bank, however, has started the lending rate cut exercise in November by reducing the MCLR by 0.15%-0.20%, making floating rate loan customers to enjoy the benefit of cut in interest rates. The bank's MCLR is now cut to 9%, resulting in home loan rate coming down to 9.15%-9.25% p.a. from 9.40%-9.45% earlier. If you have availed a 20-year floating rate home loan of, say Rs. 20 lakhs from Axis Bank and want to know the difference in the payout resulting from the cut in interest rates, check the table below. From the table, it is evident you are up for a lesser outflow from your pocket in terms of EMI and interest outgo, which are going to reduce by Rs. 260-324 and Rs. 62408-77833, respectively. Like Axis Bank, you could see other banks also cutting their lending rates on the backdrop of demonetization. With the softening of lending rates, you are in for a thrilling loan ride be it for home & car purchase or for any other purposes. So, just chill and savour the fast-coming glorious moments of your loan journey.